FeastHome – For most home owners, their readiness to decorate their kitchens is entirely dependent on the size of the kitchen. However, this should not be the case since you can still achieve the desired image in your kitchen despite its size. People with small kitchens need not worry about the size of their kitchens and should instead focus on finding deco ideas that will ensure the kitchen also plays an important role in enhancing the beauty of the home. There are numerous decorative ideas thus you need to ensure that you choose your kitchen style wisely to achieve the results you are yearning for. So, what are some of the decorative ideas that you can adopt to bring out the best image in your small kitchen? The kitchen size might seem to be a hindrance on your quest to decorate your kitchen. But with the appropriate kitchen decor tips for your kitchen, you can rest assured that you will give big kitchens a run for their money. Let’s look at the various tips that will see to it that you get the best out of your kitchen decoration exercise. Colour is arguably the most important aspect of any decoration exercise and this rule also applies to your kitchen. There are many colours that can be applied on your kitchen and all will yield different results. In addition, it is important that you use colours that will lighten the kitchen. Bright colours will play a key role in improving the kitchen atmosphere as they help with illuminating light. More to that, colours are the first decorative component that will capture the attention of a visitor and form the basis on which they will judge the outlook of your home. On the other hand, you can also use a selected combination of colours that will ensure you introduce an artistic effect which will boost the overall beauty of the kitchen. Do you understand the importance of proper lighting systems in your kitchen? Light is an important aspect not only in improving the functionality of the kitchen but also adding beauty. There are numerous types of lights to choose from and each will have a unique effect on the kitchen. Nonetheless, there is one source of light that always stands out and that happens to be a pendant light. Pendant lights will come in handy in supplementing the colours to achieve a satisfactory visual effect. Moreover, pendant lights produce quality light that will enable you to conduct kitchen expansion seamlessly. Amazingly, pendant lights are available in different sizes, colours and designs. This availability of options guarantees you of finding a pendant light that will help you achieve the kitchen design you are looking for. Attaining that captivating look in your kitchen will receive a huge boost from adopting decorative accessories. Additionally, there is a wide range of decorative accessories to help you meet your design requirements. Among the decor accessories to choose from are: kitchen appliances, pieces of art, storage equipment and natural decorators. Modern kitchen appliances will help with obtaining the desired outlook as they come in different colours, sizes and designs. These features will ensure that the appliances complement each other to create an eye-catching effect. More to that, pieces of art such as wallpapers and artwork will enhance outlook of walls and floors to make the kitchen more attractive. On the other hand, uniquely designed storage equipment such as containers and shelves will also make a significant contribution on the kitchen design courtesy of their designs and colour patterns. And with kitchen plants, you will be able to introduce the much-needed natural aspect to add flavour to the kitchen layout. 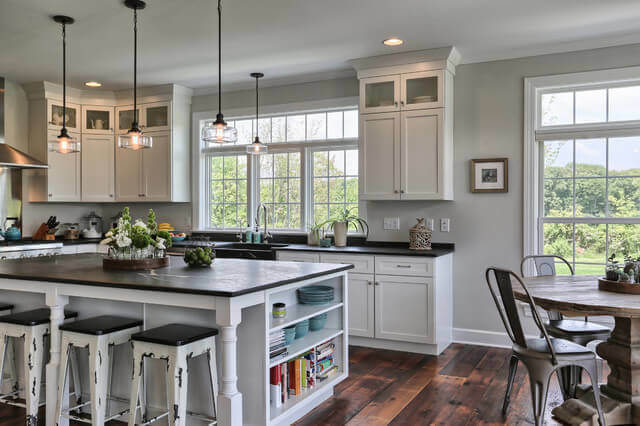 Now that you have adopted the various decorative factors and instruments, you should also consider adopting an arrangement style that will improve the kitchen layout and eventually the general kitchen outlook. 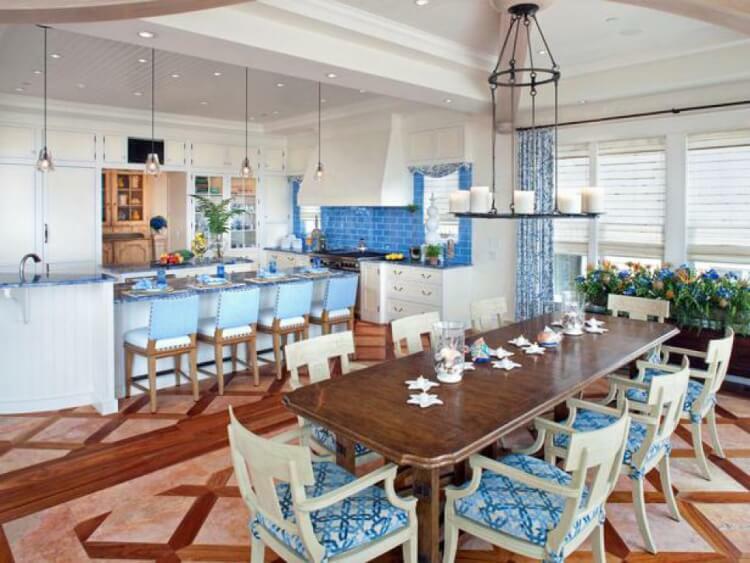 There are different approaches that can be used in creating a unique kitchen arrangement. However, these arrangements will largely be influenced by your creativity levels and the number of furniture you have in the kitchen. Moreover, the arrangement style will depend on the design and size of your furniture. Therefore, it is important that you first understand the type of kitchen layout you want before embarking on the arrangement process. Additionally, consider space when doing the furniture arrangement. 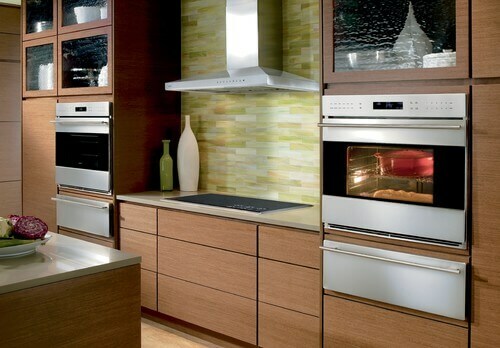 Remember, space is very important in making sure that you attain efficiency in your kitchen. Failure to plan is planning to fail. No matter the size of your kitchen, you stand a real chance of changing its face and making it desirable. However, you will need to wear a bold face that will enable you come up with great ideas that will see you beat the odds to make your kitchen the envy of every home owner. You certainly do not require a huge budget to get the desired look. Your creativity will help you develop ideas that will help in saving considerable amounts of money. 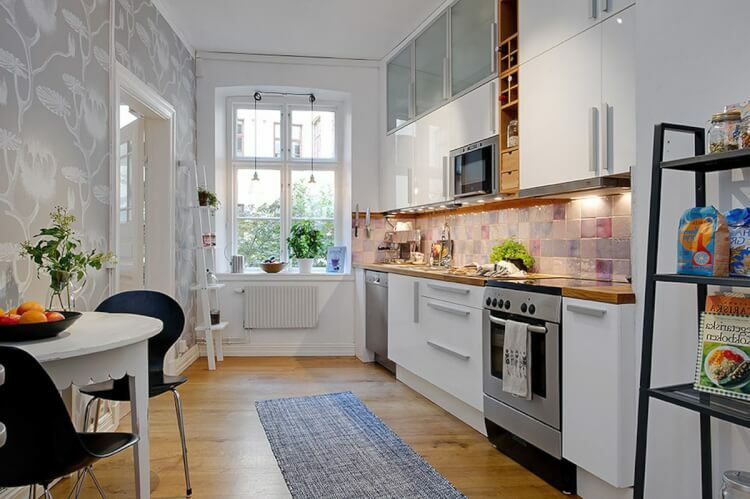 On that note, if the small size of your kitchen has been shattering your plans to make it more beautiful, you need not worry anymore since these tips will present a realistic chance of making your small kitchen the face of your home!